Professor Jürgen Götz is the Foundation Chair of Dementia Research and Director of the Centre for Ageing Dementia Research (CADR) at the Queensland Brain Institute (QBI), The University of Queensland. Götz studied biochemistry at the University of Basel, and earned his PhD in immunology in the laboratory of Nobel Laureate Georges Köhler at the Max-Planck-Institute in Freiburg, Germany (1989). After postdoctoral work at UCSF and the Preclinical Research Division at Novartis Ltd in Basel, he established his reputation in the Alzheimer’s field as a research group leader at the University of Zürich (1994–2005). 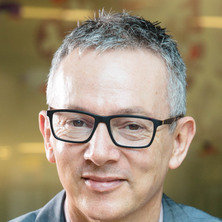 From 2005 - 2012, before accepting his new position at the University of Queensland, he has been Chair of Molecular Biology and Director of the Alzheimer’s and Parkinson’s Laboratory at the Brain and Mind Research Institute of the University of Sydney. Götz uses transgenic animal models to contribute to a better understanding of the role of tau and amyloid-beta in Alzheimer’s disease and related dementias. Shedding light on mitophagy in neurons: what is the evidence for PINK1/Parkin mitophagy in vivo? Akute Lungenembolie: immer noch eine diagnostische und therapeutische Herausforderung? Somatodendritic accumulation of Tau in Alzheimer's disease is promoted by Fyn-mediated local protein translation. Arthrodesen bei Patienten mit rheumatisch bedingten Sprunggelenks- und Rückfußarthrosen: Eine sinnvolle Option? Weil Osteotomy - a critical Review Weil-Osteotomie - "Critical Review"
Die Behandlung des kindlichen Knick-Senk-Fußes durch Schuheinlagen: Eine wissenschaftlich fundierte Therapie? Alzheimer's disease models and functional genomics-how many needles are there in the haystack? Target gene repression mediated by miRNAs miR-181c and miR-9 both of which are down-regulated by amyloid-β. Baier, C., Götz, J., Rümmele, P., Grifka, J. and Lüring, C. (2009) Ochronosis--a rare cause of secondary gonarthrosis Ochronose--eine seltene Ursache der sekundären Gonarthrose. Zeitschrift für Orthopädie und Unfallchirurgie, 147 3: 366-368. Is tau aggregation toxic or protective: a sensible question in the absence of sensitive methods? Alzheimer's disease and frontotemporal dementia: prospects of a tailored therapy? Goetz, Juergen, Ittner, Lars M. and Schonrock, Nicole (2006) Alzheimer's disease and frontotemporal dementia: prospects of a tailored therapy?. Medical Journal of Australia, 185 7: 381-384. Chen, F, Nitsch, RM, Gotz, J, van Dorpe, J and Leuven, KU (2002) Neurofibrillary tangle formation in transgenic mouse models of Alzheimer's disease. Neurobiology of Aging, 23 1: S233-S233. Alzheimer's and Parkinson's disease - overlapping or synergistic pathologies? Kins, Stefan, Crameri, Arames, Evans, David R. H., Hemmings, Brian A., Nitsch, Roger M. and Gotz, Juergen (2001) Reduced protein phosphatase 2A activity induces hyperphosphorylation and altered compartmentalization of tau in transgenic mice. Journal of Biological Chemistry, 276 41: 38193-38200. Gotz, J and Nitsch, RM (2001) Compartmentalized tau hyperphosphorylation and increased levels of kinases in transgenic mice. Neuroreport, 12 9: 2007-2016. Gotz, J, Tolnay, M, Barmettler, R, Ferrari, A, Burki, K, Goedert, M, Probst, A and Nitsch, RM (2001) Human tau transgenic mice - Towards an animal model for neuro- and glialfibrillary lesion formation. Neuropathology and Genetics of Dementia, 487 71-83. Probst, A, Gotz, J, Wiederhold, KH, Tolnay, M, Mistl, C, Jaton, AL, Hong, M, Ishihara, T, Lee, VMY, Trojanowski, JQ, Jakes, R, Crowther, RA, Spillantini, MG, Burki, K and Goedert, M (2000) Axonopathy and amyotrophy in mice transgenic for human four-repeat tau protein. Acta Neuropathologica, 99 5: 469-481. Gotz, J, Barmettler, R, Ferrari, A, Goedert, M, Probst, A and Nitsch, RM (2000) In vivo analysis of wild-type and FTDP-17 tau transgenic mice. Molecular Basis of Dementia, 920 126-133. Li, Z. W., Stark, G., Gotz, J., Rulicke, T., Gschwind, M., Huber, G., Muller, U. and Weissmann, C. (1996) Erratum: Generation of mice with a 200-kb amyloid precursor protein gene deletion by Cre recombinase-mediated site-specific recombination in embryonic stem cells (Proceedings of the National Academy of Sciences of the United States of America (June 11, 1996) 93:12 (6158-6162)). Proceedings of the National Academy of Sciences of the United States of America, 93 21: . Gotz, J, Probst, A, Spillantini, MG, Schafer, T, Jakes, R, Burki, K and Goedert, M (1995) Somatodendritic Localization and Hyperphosphorylation of Tau-Protein in Transgenic Mice Expressing the Longest Human Brain Tau-Isoform. Embo Journal, 14 7: 1304-1313. Goedert, M, Jakes, R, Spillantini, MG, Crowther, RA, Cohen, P, Vanmechelen, E, Probst, A, Gotz, J and Burki, K (1995) Tau-Protein in Alzheimers-Disease. Biochemical Society Transactions, 23 1: 80-85. Cho, Kwy, Goetz, J, Wright, Cve, Fritz, A, Hardwicke, J and Derobertis, EM (1988) Differential Utilization of the Same Reading Frame in a Xenopus Homeobox Gene Encodes 2 Related Proteins Sharing the Same Dna-Binding Specificity. Embo Journal, 7 7: 2139-2149. Fritz, A, Gotz, J, Martin, G, Salo, E, Wright, J and Derobertis, E (1985) Homeotic-Like Genes in Xenopus-Laevis. Biological Chemistry Hoppe-Seyler, 366 9: 788-788. Lesne, Sylvain, Amar, Fatou, Sherman, Mathew, Rush, Travis, Larson, Megan, Chang, Liu, Gotz, Jurgen, Schneider, Julie, Bennett, David, Ashe, Karen and Buisson, Alain (2016). SPECIFIC ALTERATIONS OF TAU PHOSPHORYLATION AND NEURONAL SIGNALING INDUCED BY THE AMYLOID-beta OLIGOMER A beta*56. In: 14th International Athens/Springfield Symposium on Advances In Alzheimer Therapy, Athens, Greece, (S27-S27). Mar 09-12, 2016. Gotz, Jurgen (2016). The many facets of dementia - basic science and translational strategies. In: Unknown, Unknown, (11-11). Unknown. Leinenga, G. and Goetz, J. (2015). Effects of scanning focused ultrasound in an Alzheimer's mouse model. In: 25th Biennial Meeting of the International Society for Neurochemistry jointly with the 13th Meeting of the Asian‐Pacific Society for Neurochemistry in conjunction with the 35th Meeting of the Australasian Neuroscience Society. 25th Biennial Meeting of the International Society for Neurochemistry jointly with the 13th Meeting of the Asian‐Pacific Society for Neurochemistry in conjunction with the 35th Meeting of the Australasian Neuroscience Society, Cairns, QLD, Australia, (274-275). 23 - 27 August 2015. Goetz, J. and Ittner, L. M. (2009). Axonal transport in tau transgenic mouse models. In: Journal of Neurochemistry. 4th European-Society-for-Neurochemistry Conference on Advances in Molecular Mechanisms of Neurological Disorders, Leipzig Germany, (59-59). Jul 11-14, 2009. Schroeder, H., Goetz, J., Pilz, K., Kuhlage, S., de Vos, R. A. I., Bauer, T., Selzer, A. and Koehler, C. (2009). Neurofibrillary pathology in the brainstem of the tau mutant pR5 mouse. In: New Trends in Alzheimer and Parkinson Related Disorders: Adpd 2009. 9th International Conference on Alzheimers and Parkinson's Diseases (AD/PD), Prague Czech Republic, (233-237). Mar 11-15, 2009. Rhein, V, Baysang, G., Meier, F., Ozmen, L., Bluethmann, H., Savaskan, E., Mueller-Spahn, F., Czech, C., Goetz, J. and Eckert, A. (2007). Mitochondrial failure in a transgenic mice model of Alzheimer's disease with plaques and tangles. In: Pharmacopsychiatry. 25th Symposium of the Arbeitsgemeinschaft-Neuropsychopharmakologie-und-Pharmakopsychiatrie, Munich Germany, (234-234). Oct 03-06, 2007. Chen, E, Schild, A, Kurosinski, P, Pennanen, L, Hoerndli, E, David, D, Ferrari, A, Nitsch, RM and Gotz, J (2003). In vivo and in vitro models of AD demonstrate a role of distinct phosphorylation sites of tau in neurofibrillary tangle formation. In: European Neuropsychopharmacology. 16th Congress of the European-College-of-Neuropsychopharmacology, Prague Czech Republic, (S99-S100). Sep 20-24, 2003. Gotz, J, Chen, F, Ferrari, A, Kurosinski, P, Schild, A, Nitsch, RM and van Dorpe, J (2002). Amyloid-induced neurofibrillary tangle formation. In: Neurobiology of Aging. , , (S567-S567). .
Gotz, J, Chen, F and Nitsch, RM (2002). Interactions of beta-amyloid with the formation of neurofibrillary tangles in transgenic mice. In: Mapping the Progress of Alzheimer'S and Parkinson'S Disease. 5th International Conference on the Progress in Alzheimers and Parkinsons Disease/9th International Catecholamine Symposium, Kyoto Japan, (139-144). Mar 31-Apr 05, 2001. Chen, F, Ferrari, A, Nitsch, RM and Gotz, J (2001). The role of beta-amyloid addressed in tau filament-forming mice. In: Journal of Neurochemistry. , , (8-8). .
Götz, J., Barmettler, R., Ferrari, A., Goedert, M., Probst, A. and Nitsch, R. M. (2000). In vivo analysis of wild-type and FTDP-17 tau transgenic mice. In: , , (126-133). .
Goedert, M., Jakes, R., Spillantini, M. G., Crowther, R. A., Cohen, P., Vanmechelen, E., Probst, A., Gotz, J. and Burki, K. (1995). Tau protein in Alzheimer's disease. In: , , (80-85). . Investigations of the effects of scanning focused ultrasound in mouse models of Alzheimer's disease.